It's the latest material hitting the runways and beaches so let's talk neoprene. Labelled as affordable, lightweight and comfortable we are going to be taking a look at some neoprene options currently on the market. You can't escape it so why not embrace it, here are a few Neoprene favourites and some snaps from the runway to get the creativity flowing. Triangl is probably the most prevalent brand that is based on Neoprene and it was actually my first experience with the material. They offer a large selection of Neoprene bikinis and swimsuits amongst the usual silky material. Now I have seen anything and everything made out of Neoprene, from dresses to bras and Skirts to accessories. I have put together a little list of where you can find this material, just from what I have seen in store or purchased myself. 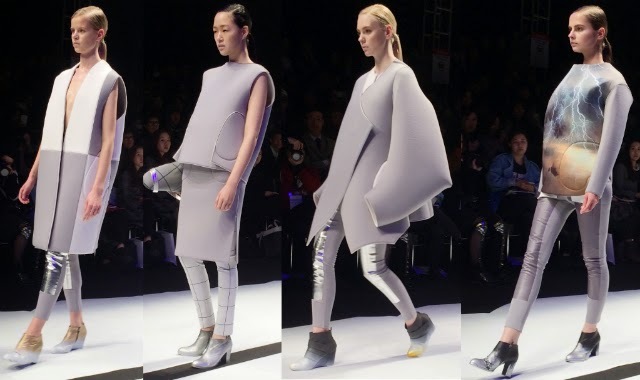 For some style inspiration, here is how Neoprene has been incorporated into the runway for the last 6 months or so. Now that you know where to pick up some Neoprene fashion pieces as well as have some inspiration from the runway on how to style them, it might be fun to venture out and give it a go for yourself.